Spinach Cream Soup (Soup Cream Pak Khom) - You can find this soup at any Western restaurant. 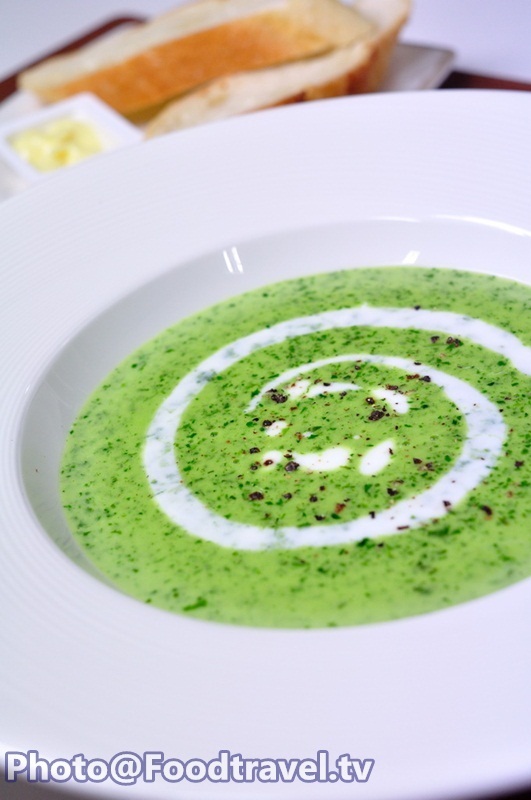 Spinach is used as the main ingredient for this soup without strong smelling. If your kids don’t like to eat vegetable, they may love this menu. 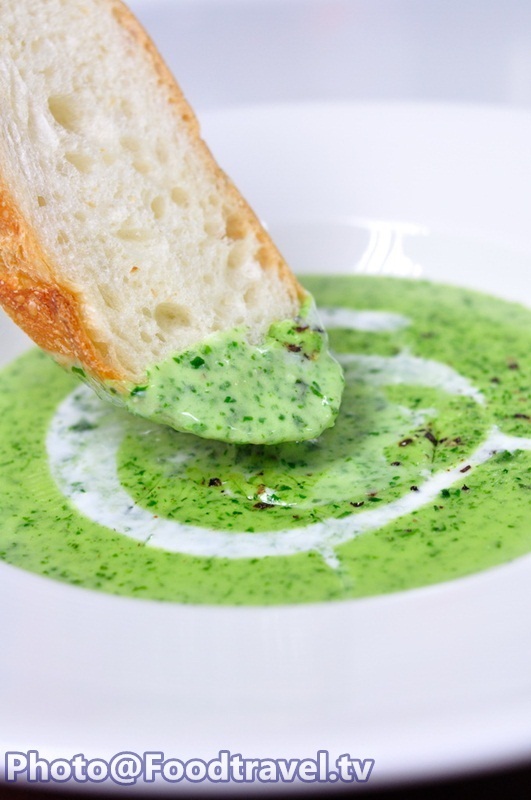 Spinach Cream Soup (Soup Cream Pak Khom) – You can find this soup at any Western restaurant. Spinach is used as the main ingredient for this soup without strong smelling. If your kids don’t like to eat vegetable, they may love this menu. 1. Chop spinach coarsely and set aside. Then add butter, onion and stir. Add spinach and stir again to combine. 2. Pour the mixture into the spinning machine. Follow by chicken stock. Blend together until the mixture smooth. 4. Top with whipping cream on the soup slightly. Follow by coarsely chopped black pepper.